When will be Speak for Yourself with Cowherd and Whitlock next episode air date? 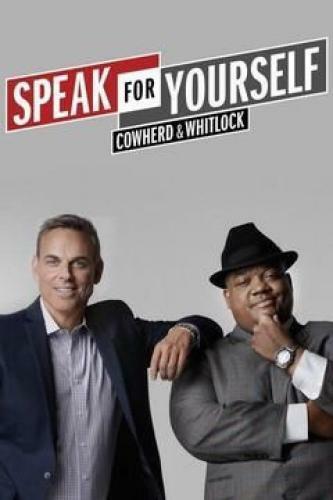 Is Speak for Yourself with Cowherd and Whitlock renewed or cancelled? Where to countdown Speak for Yourself with Cowherd and Whitlock air dates? Is Speak for Yourself with Cowherd and Whitlock worth watching? Fox Sports' attempts to emulate ESPN's "embrace debate" format, symbolized by Bristol's ratings winners "First Take" and "Pardon the Interruption", is in the capable hands of Colin Cowherd and Jason Whitlock. As the hosts of Speak for Yourself with Cowherd and Whitlock, the polarizing personalities steer the weeknight show by presenting uniquely differing sports viewpoints. Friends and colleagues for several years, the always outspoken duo covers the biggest news and headlines each day, while additional segments include one-on-one interviews with guest athletes or newsmakers. Multimedia journalist Jason McIntyre, the creator and editor-in-chief of sports media blog The Big Lead, is a contributor on the show. Speak for Yourself with Cowherd and Whitlock next episode air date provides TVMaze for you. EpisoDate.com is your TV show guide to Countdown Speak for Yourself with Cowherd and Whitlock Episode Air Dates and to stay in touch with Speak for Yourself with Cowherd and Whitlock next episode Air Date and your others favorite TV Shows. Add the shows you like to a "Watchlist" and let the site take it from there.